Designed to provide counseling and support to women and youth fleeing or experiencing family violence. Designed to provide counseling and awareness training to Native offenders incarcerated at the Hamilton-Wentworth Detention Centre. Designed to educate and provide information to in-house residents on the cycle of abuse. Provision of services for single homeless women experiencing crisis and in need of shelter services. The provision of crisis beds with wrap around support and resources for Indigenous survivors of Human Trafficking. NOTE: Please contact 905-664-1114 for inquiries, unit availability, criteria, forms, etc. Works to support women and their children who have experienced violence or abuse by connecting them with individualized services and supports within their communities. This initiative uses a wholistic approach to assist women and children to live violence/abuse free and lead safe and meaningful lives. To improve the self-sufficiency of homeless individuals and families and those at imminent risk of homelessness through individualized services. To connect participants to resources and supports pertaining to life skill development, pre-employment and labour market, budgeting, client social integration, cultually relevant response to help Aboriginal participants and connecting participants to education and supporting their success. 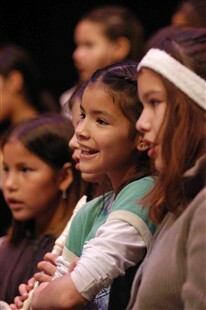 Aimed to ensure that Aboriginal children and families have access to services and supports.